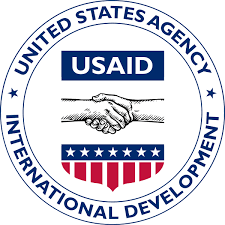 The Ogun Government in conjunction with the United States Agency for International Development (USAID) has flagged-off a free tuberculosis screening programme in Ijebu-Ode. The programme, which commenced on Wednesday at Itantebo area in Ijebu-Ode, was also launched simultaneously across nine other local governments across the state. The programme tagged, ‘Wellness on Wheels’, is part of the state government’s efforts at providing affordable healthcare for people at the grassroots and ending the scourge of tuberculosis. Speaking at the flag-off, the Chairman of Ijebu-Ode Local Government Council, Mr Gbolade Oduwole, urged the people to take advantage of the programme in ascertaining their TB status and getting free treatment. “Affordable healthcare delivery is one of Senator Ibikunle Amosun led-administration cardinal programmes aimed at bringing succour to the people. “This is another step where the impact of the government will be felt by the people. All you need to do is come for test and x-ray which is free,” he said. Oduwole, who urged residents of Ijebu-Ode to always take cognisance of their health issues, gave an assurance that continuous health education on the importance of check-up would be provided. Also speaking, Mrs Tinuke Otufowora, the Tuberculosis Control Officer for Ijebu-Ode Local Government Council, said the mobile screening programme was a welcome initiative. She said the exercise would be on a rolling basis and had been structured to accommodate everyone in the state. “We are going to five communities in the first phase of the programme in the next two weeks where Itantebo is the starting point. “We have sensitised the people in the area to come out for test; that is anybody that is coughing persistently which we classify in TB treatment as the presumptive stage. “If they have been coughing for two weeks or more. They have to come for test even if you are not coughing; you can come for testing,” Otufowora said. The other local government areas benefiting from the programme include Ado Odo-Ota, Ifo, Abeokuta South and Abeokuta North. Others are Yewa North, Yewa South, Sagamu and Obafemi Owode Local Governments.